Harry the poisonous centipede and his friend, George, are captured by the dreaded Hoo-Mins. How on earth can they escape from their hard-air prisons? Glass jars are too hard to climb, they're too slippery, and the holes in the top are small. But when the Not-So-Big-Hoo-Min's Mother accidentally knocks over two glass jars that happen to be holding a scorpion and a tarantula, all hell breaks loose... Harry and George seize the opportunity to escape - but just as they make for home, they are dived on by the biggest 'flying-swooper' they've ever seen and dumped in the ocean... how will they survive? 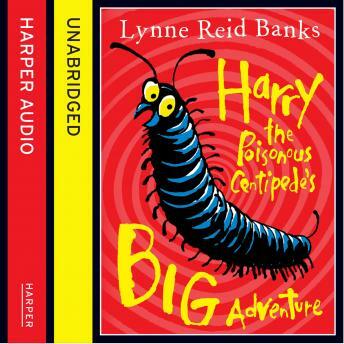 This is just the start of Harry's adventures as he encounters the marine centipedes who turn out to be very unpleasant little creatures indeed!